I have never been on a cruise before so the entire experience was completely new to me! When we got to Cabo, the cruise ship docks right outside of Cabo’s port, floating right in the ocean. 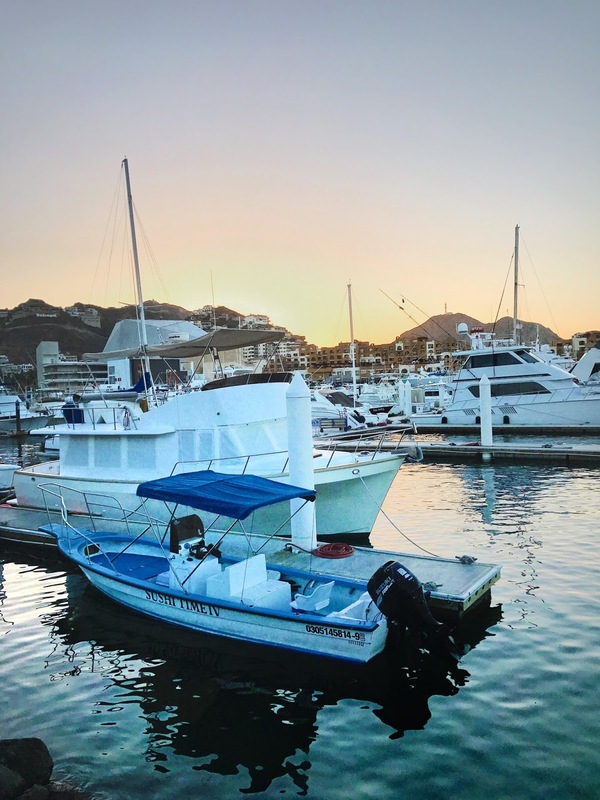 You have to take a tender (small boat) to transport you from the ship to Cabo’s port. 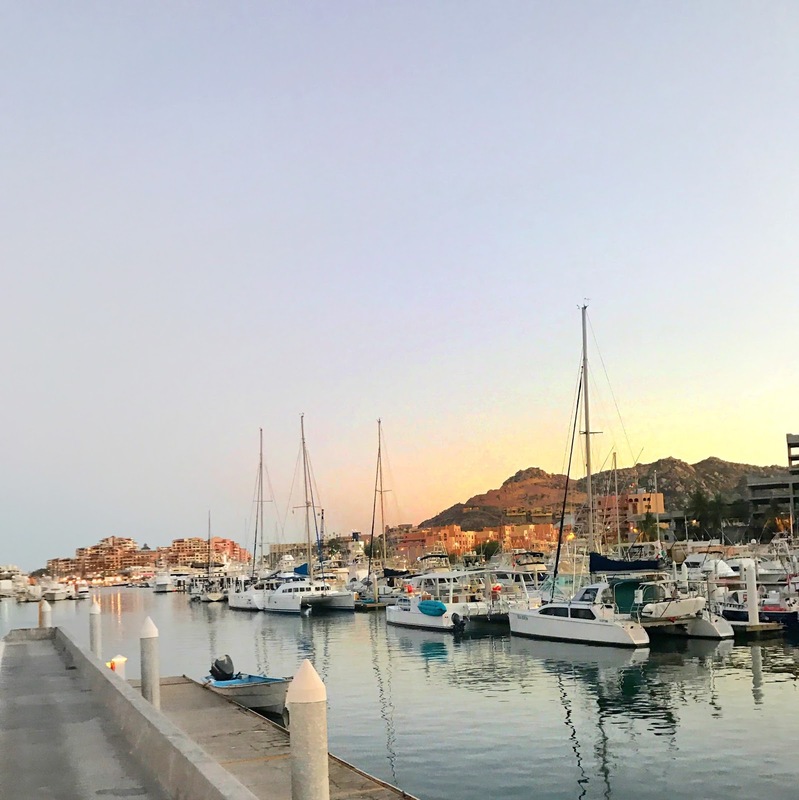 The little boat ride takes about ten minutes and I thought that alone was fun because you’re riding over waves, taking in the view of Lover’s Beach, the Arc, the actual city of Cabo and how it is expanding up the coast. I have always loved being near water, (note: I am a terrible swimmer so view of water for me is what I like!) there is just something about the wind in my hair, with a little spray from the water that makes me smile! Anyway, our first tender ride in and I could immediately see Cabo’s beautiful marina. It’s really cool the city has been built along the edges of the water. I wore this cute one shoulder top with my favorite pair of jeans the one day we were exploring around. One shoulders have recently become a big trend again, any variation of shoulder details as a matter of fact, has been in the spotlight for the last several seasons. I think it is super girly and I love the laser cut detail with the red contrasting thread. It would be cute to be worn again with jean shorts and sandals, perhaps at a brewery or out for lunch! I recently bought this Louis Vuitton bag! 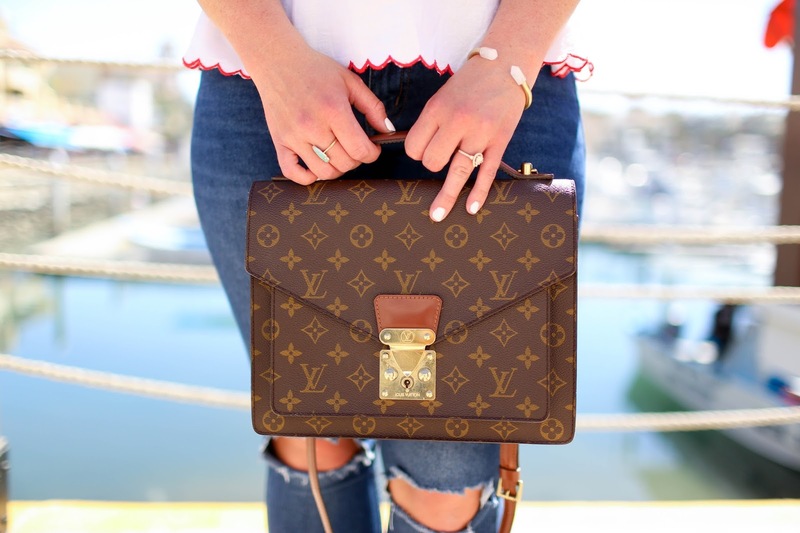 I am super excited as it is my first Louis! There are several places where you can buy preowned, certified authentic designer handbags. The Real Real (here) is an example of one that I had a friend recommend to me when I began my search! If you’re going to invest the money, you have to make sure you are getting what you are paying for! Anyway, I LOVE this bag and I know I will be wearing it over and over again! It is timeless! Well, this wraps up my time in Cabo, if you ever get the chance to go, do it! It was stunningly beautiful, I would love to go back!